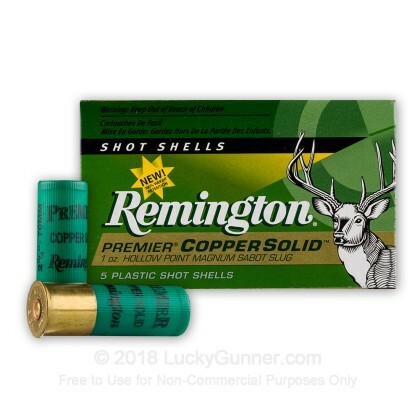 For serious deer hunters using rifled shotguns, look no further than Remington's Premier line of Copper Solid sabot slugs to take down your next trophy buck! 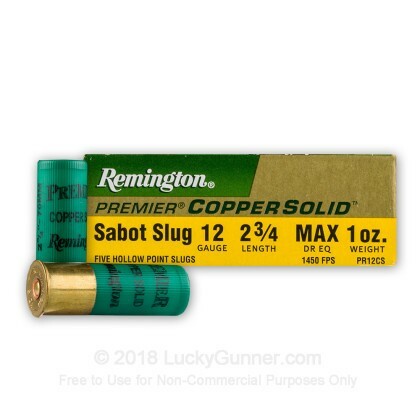 The technology behind Remington's Copper Solid line of slugs delivers a winning combination of 100% weight retention and up to 2x expansion on impact allowing for deeper, larger wound cavities resulting in quicker, more humane kills. 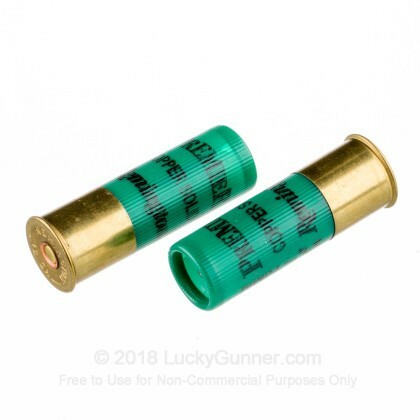 I have been using these for the life of my shotgun. 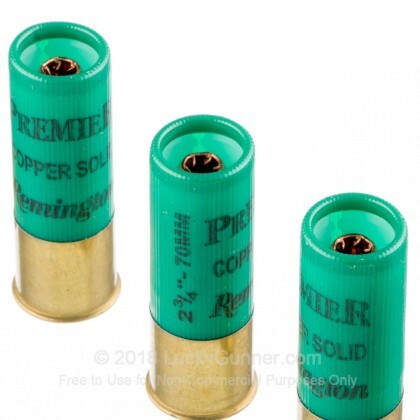 I have never had to change the sights because this stuff is built to the highest standard year after year. When it hits a target it delivers a stunning blow and wound. 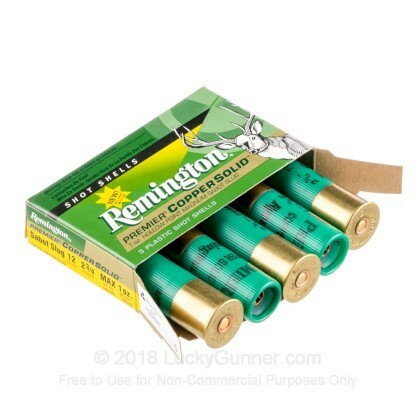 All of the deers that I have hit do not run more that 100 yards even when the shot misses the major organs. 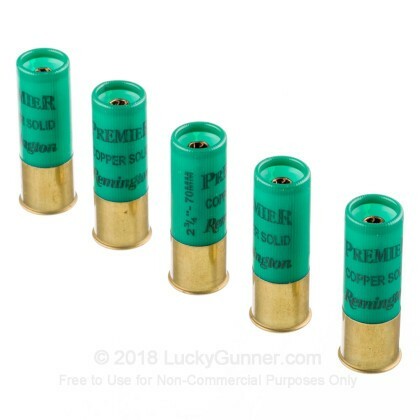 It does cost a lot to shoot but it is easy on the gun a very clean ammo, and also easy on the tracking after the shot.